1. Did you know wind energy now provides 12% of all the electricity consumed in Europe? And the costs have fallen sharply. Onshore wind is now the cheapest form of new power generation in most of Europe. And offshore wind is not far behind. 2. Wind energy was a niche thing 20 years ago. Now it’s a major European economic success story. The wind industry supports 263,000 jobs and generates €8bn in exports. The supply chain is spread right across Europe. But a European supply chain needs a strong domestic European market. You don’t invest in factories and R&D in Europe if you’re not selling much here. And sustaining cost reductions is difficult without economies of scale and continued investment in our manufacturing base. That’s why Europe needs a renewables target of at least 35% by 2030. 1. Did you know that wind energy contributes €36bn a year to the EU economy and invests a large share of that in R&D helping Europe keep its global edge in wind technology? EU R&D spending provides crucial support for getting new innovations to market. And EU-backed finance helps reduce the capital costs of building a wind farm. 2. Wind power started in Europe. And Europe still leads the world in designing, manufacturing, building and operating wind farms. Wind is digital too. Turbines have sensors that monitor the weather and the performance of components. But it needs constant innovation to stay competitive and keep costs falling. EU R&D funds help develop new technologies and modernise existing ones. EU finance helps get these products to market. And EU instruments such as EFSI help reduce the costs of capital. All this is crucial if Europe is to maintain its technology leadership and market position vis à vis the rest of the world. 1. Did you know wind energy is helping to revitalise local communities throughout Europe? Some municipalities get 10% of their budget from the local wind farms. Shared ownership gives citizens a stake in wind farms. And the supply chain brings local jobs. 2. The energy transition is also transforming communities. The wind industry has brought new jobs and investment to shipbuilding areas. Coal regions are benefiting too. The German turbine manufacturer Senvion now has blade factories in Silesia. Regions with steel and chemicals industries are also benefitting, given the role these play in our supply chain. 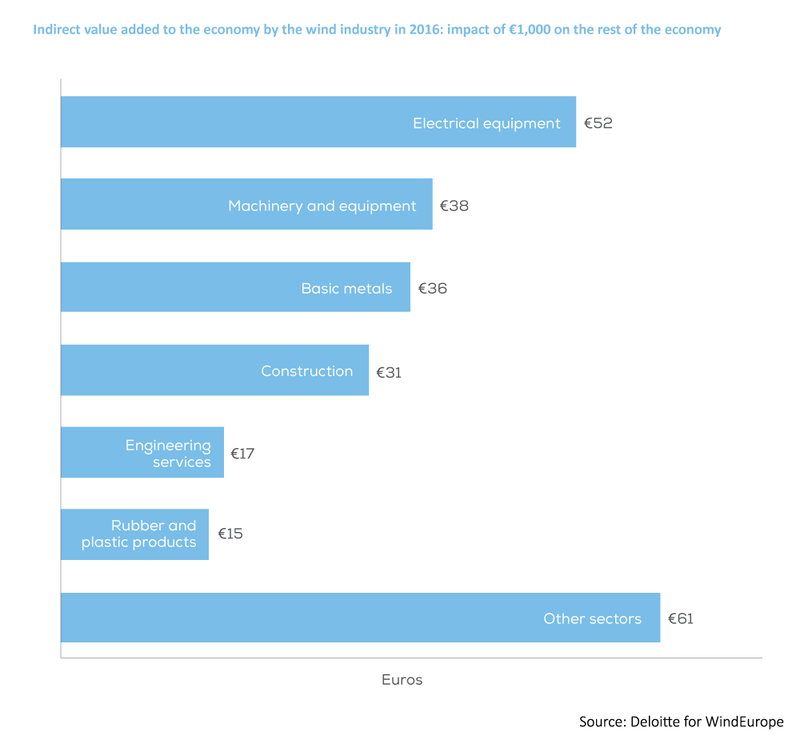 Every €1,000 turnover in wind generates €250 in other sectors. More wind energy will mean more benefits for more communities across Europe. That’s why Europe needs a renewable energy target of at least 35% by 2030. 1. Did you know it’s getting easier and cheaper to integrate wind energy into the energy system? Thanks to evolutions in wind technology, in smart grids, demand response and storage and in the overall functioning of electricity markets. 2. Wind energy is more predictable and less variable than it was. Wind forecasts are more accurate, and turbines now operate at lower wind speeds – so “capacity factors” have gone up. At the same time electricity demand is getting more flexible thanks to smart grids and meters, and active “demand-side management”. And storage is playing a role: some wind farms now have battery units built in. So it’s getting easier and cheaper to integrate wind power into the energy system. Wind has become system-friendly and good for the security of power supply. 1. Did you know that as the cheapest form of new power generation wind means lower energy bills for consumers. And it’s not just households that benefit. Industrial and commercial energy consumers are now sourcing power from wind farms: ICT companies for their data centres and energy-intensives such as aluminium and chemicals. 2. More and more companies are signing corporate renewable Power Purchase Agreements (PPAs) where they buy wind power in long-term contracts at fixed prices.They lock in low energy costs and reduce their exposure to fossil fuel volatility. It all started in ICT with companies such as Google sourcing renewables for their data centres. Now the food & drink and chemicals sectors are doing it. And the aluminium industry is signing deals with new wind farms in Sweden and Norway. The volume of these PPA deals is doubling every year. 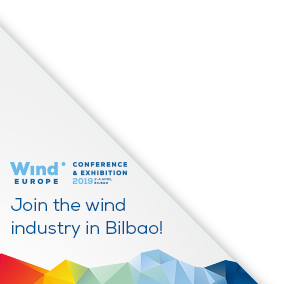 To promote PPAs and help get the right legal frameworks and business models WindEurope has co-founded the RE-Source Platform.